Environmentalists warned on Friday that Mexico’s vaquita marina, the world’s smallest porpoise, was close to extinction as the government reported that only 60 were now left. The population has dramatically dropped despite the arrival of navy reinforcements in the upper Gulf of California in April 2015 to enforce a ban on fishing gillnets blamed for the vaquita’s death. The porpoise’s population had already fallen to fewer than 100 in 2014, down from 200 in 2012, according to the International Committee for the Recovery of the Vaquita (CIRVA), a global group of scientists. Mexico’s environment ministry said in a statement a joint study with CIRVA between September and December estimated the latest population at “around 60”. “The vaquita is at the edge of extinction,” the World Wildlife Fund said in a statement, warning that 20% more have probably died in nets since January. Poachers use illegal gillnets to catch the totoaba and the vaquita, a shy 1.5-metre-long (5ft) cetacean with dark rings around the eyes, is believed to be the victim of bycatch. President Enrique Peña Nieto imposed a two-year ban on gillnets in April 2015 and increased the vaquita protection area tenfold to 13,000 square kilometres (5,000 square miles). He deployed a navy patrol ship with a helipad, a dozen high-speed boats and two planes to enforce the prohibition. Environment minister Rafael Pacchiano said three vaquitas had been found dead and that protective measures needed to be reinforced, but federal authorities are convinced the vaquita can still be saved. He urged the local population to report illegal activities. The Mexican government agreed to compensate local fishermen in a $30m-a-year program to give up gillnet fishing while they look for safer alternative nets. 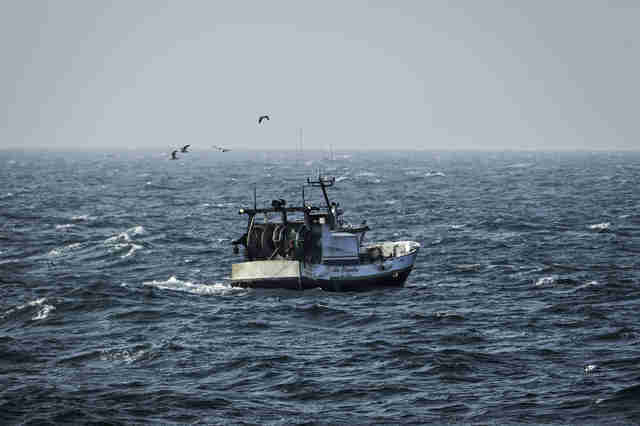 But navy sailors said during a tour of their mission in April that they were catching gillnets every day – three to 10 times the length of a football field, often ensnaring totoabas, dolphins, turtles and sea lions. 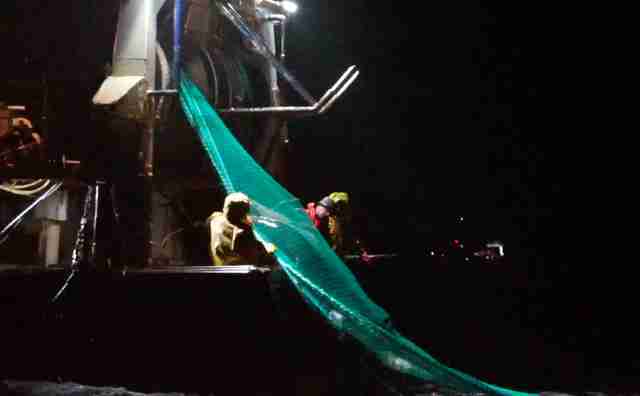 The environment ministry said 600 nets were seized in the past year, while 77 people were detained. Officials say fishermen sell the totoaba’s swim bladders to smugglers who store them in border towns before sending them to the US or shipping them directly to Asia in suitcases or through parcel services. Each bladder fetches about $1,500-$1,800 in Mexico, rising to $5,000 in the US and $10,000 to $20,000 apiece in Asia, according to US authorities. Consumed in soup, maw is believed to cure a host of ailments, from arthritis to discomfort in pregnancy, and plump up skin due to its high collagen content. WWF urged the governments of Mexico, the US and China to take urgent measures and coordinate to stop the smuggling to totoaba bladders. “In the end, if the vaquita goes extinct, the three countries will share the responsibility,” the environmentalist group said. The group said Mexico should ban all fishing in the vaquita habitat, compensate fishermen and deploy a newly created environmental police to the region. “At WWF we are convinced that it is still possible to save the vaquita, but this is clearly its last chance,” said WWF’s Mexico director, Omar Vidal. The California coast is seeing the second largest outbreak of sick sea lions in recorded history. Since January, 19 sea lions infected with leptospirosis, a potentially fatal bacterial infection, have been picked up on Marin County shores. The Sausalito-based Marine Mammal Center has responded to 220 infected sea lions—more than half of all those rescued this year across the state. The center is warning beachgoers to be especially careful to stay away from any stranded sea lions because humans—and dogs—can become infected with the bacteria if they come into contact with contaminated urine, water or soil. In the Point Reyes National Seashore, marine ecologist Sarah Codde said there have been “quite a few reports in last two months about sick sea lions.” Still, she said, the park was not sure if they were infected with leptospirosis or suffering from something else because the Marine Mammal Center had not provided test results. Leptospirosis was first detected in sea lions in California in 1970, and seasonal outbreaks have occurred since the 1980s. In a press release, Dr. Shawn Johnson, the Marine Mammal Center’s director of veterinary science, said major outbreaks of the disease typically occur in a cyclical pattern every four to five years. Researchers believe that many factors, including changes in herd immunity and the temperature of the sea’s surface, lead to a surge in outbreaks, with a majority of cases occurring between July and November. According to Giancarlo Rulli, the center’s marketing and communications associate, Marin’s count of 19 is “in the middle in terms of counties we’ve responded to,” he said. Sonoma has seen 24 infected sea lions; Monterey has seen over 70. Mr. Rulli said the majority of the outbreak has occurred from Monterey northward. One way veterinarians can tell if a sea lion is carrying the leptospirosis bacteria is its desire to drink water—something marine mammals generally do not need to do, since they receive enough moisture from food sources. The kidneys of sea lions infected with leptospirosis stop functioning, however, and thus cannot regulate hydration or filter out toxins. Once diagnosed with the disease, sea lions are given antibiotics, fluids and care for stomach and intestinal ulcers. But even with treatment, roughly two-thirds of infected animals will die. If you see a sea lion stranded on the shore, call the Marine Mammal Center at (415) 289.7325. GLOUCHESTER, Mass. — Researchers think hundreds of seals that washed up on the east coast might have been sick with avian flu or distemper. As of August 21, 250 of the animals were found dead on New England beaches. They washed up in Maine, Massachusetts and New Hampshire. At least 80 others survived and are getting help from groups like the Harpswell Organization. Doughty says grey and harbor seals tend to socialize on the same rock. That means diseases can spread among them quickly. Our ocean’s wild places are dwindling like never before, meaning immense habitat loss for our wild creatures. Credit: Belle Co.
An international study led by University of Queenslandscientists has found that only 13 per cent of the ocean can still be classified as wilderness. Researchers from UQ’s School of Earth and Environmental Sciences and international collaborators identified marine areas devoid of intense human impacts by analysing 19 stressors including commercial shipping, sediment runoff and several types of fishing. “Marine areas that can be considered pristine are becoming increasingly rare as fishing and shipping fleets expand their reach across almost all of the world’s oceans, and sediment runoff smothers many coastal areas,” Mr Jones said. UQ’s Professor James Watson, Director of Science at the Wildlife Conservation Society, said the findings highlight an immediate need for conservation policies to recognise and protect the unique values of marine wilderness. “Marine wilderness areas are home to unparalleled levels of life, holding massive abundances of species and high genetic diversity, giving them resilience to threats like climate change,” Professor Watson said. “We know these areas are declining catastrophically, and protecting them must become a focus of multilateral environmental agreements. “Late last year the United Nations began developing a legally binding high seas conservation treaty, essentially a Paris Agreement for the ocean,” he said. Image: Improvements in shipping technology mean that even the most remote wilderness areas may come under threat in the future. Credit: Martin Damboldt. John Rosenberg is a contributor to Writers on the Range, the opinion service of High Country News. He is a retired Lutheran pastor and an active volunteer in regional salmon recovery efforts. He lives in Tumwater, Oregon. Michelangelo’s famous statue La Pieta — “The Pity” in Italian — has been the object of Christian and artistic devotion for centuries. Carved from a single block of marble, it depicts the Virgin Mary holding the dead body of her son, Jesus Christ. No visitor can miss its presence at St. Peter’s Basilica in Vatican City. In recent weeks, the residents of the Pacific Northwest have lived with the presence of their own grieving mother and her dead child. As a young orca, or killer whale, the largest member of the dolphin family, pushed her stillborn calf through the waters of the Salish Sea for 17 days, people from around the world looked on, transfixed. Though her ordeal is now over, the grieving mother — called J35 by researchers but more commonly known as “Tahlequah,” after a city on Vashon Island — is still the focus of the 4,500-member Lummi Nation of western Washington. The Lummis consider Tahlequah and her family, including her cousin, J50, to be close relatives, fully deserving of our compassion, care and protection. Tahlequah’s family live in Puget Sound in three family groups, known as pods. At this point, their number has dwindled to 75, the lowest in decades. Even more worrisome is the fact that there hasn’t been a healthy calf born to the three pods in several years. Perhaps it was fortuitous that the mother orca’s journey took place at around the same time that Washington Gov. Jay Inslee, D, convened an Emergency Orca Task Force and charged it with devising a strategy to save the whales. The task force is made up of 45 state, federal and tribal scientists and leaders, along with representatives from nongovernmental groups and the business community. Its initial set of recommendations is due in November of this year. 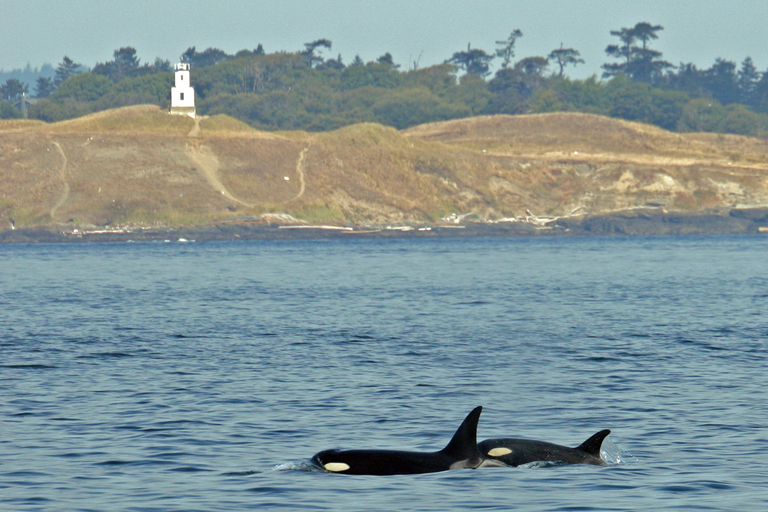 Orcas swim near the southwest corner of San Juan Island in Puget Sound. Unlike other orcas, whose diet is more varied, southern resident orcas depend almost exclusively upon the availability of another Pacific Northwest icon, the chinook salmon. As chinook numbers in Puget Sound and throughout the region have dwindled, however, the orcas that depend upon them have suffered from severe malnourishment. Despite the protection of the Endangered Species Act and the billions of dollars that have been spent on recovery efforts over the past 30 years, Pacific Northwest salmon continue on a downward spiral, victims of a growing human population and the economic development that accompanies it. Yet Pacific Northwesterners, who have historically believed they could have it all — including a booming economy along with a pristine natural environment — may be finally coming to terms with the limits of growth. Tahlequah’s 17-day public display of grief, combined with a summer of unprecedented wildfires and smoke, riveted people’s attention on the vulnerability of the natural world. But it will take more than sympathy and prayers to reverse the decline of the orcas and the salmon. The jury is still out as to whether the region’s citizens can muster the political will to take meaningful action. A case in point is the decades-old unsuccessful call by many salmon defenders to breach four Snake River dams that are considered especially destructive to salmon. At a recent meeting of the orca task force, Joseph Bogaard, executive director for Save Our Wild Salmon, spelled out what was at stake: “Scientists and salmon advocates have long advised Northwest policymakers (that) the longer we delay truly protecting and restoring endangered wild salmon and steelhead populations, the greater the pain. It’s not a new message, but Tahlequah’s moving pilgrimage has brought it into clearer focus than ever before. The orcas are among the most beloved creatures in the Pacific Northwest, an area where many residents relate to the natural world with a devotion bordering on the religious. Whether a comprehensive regional response comes in time to save the orcas remains an open question. But if the citizens of the region can come together to act, Tahlequah’s sad journey will not have been in vain. SCARBOROUGH, Maine (WGME) — Scientists say it could take at least a week to get answers about what’s causing dead seals to wash up on Southern Maine beaches. According to the National Oceanic and Atmospheric Administration, or NOAA, 179 were reported since July 1, 114 of those in August alone. That’s three times the average for the entire month of August. “These numbers are obviously very concerning,” said Public Affairs Officer Jennifer Goebel. Goebel said 73 other seals have been stranded on shore alive. “We’re seeing these seals come in with poor body condition and they’re having signs of lethargy and coughing and sneezing, so we’re thinking of the possibilty is that it could be either avian influenza or the phocine distemper virus,” Goebel said. 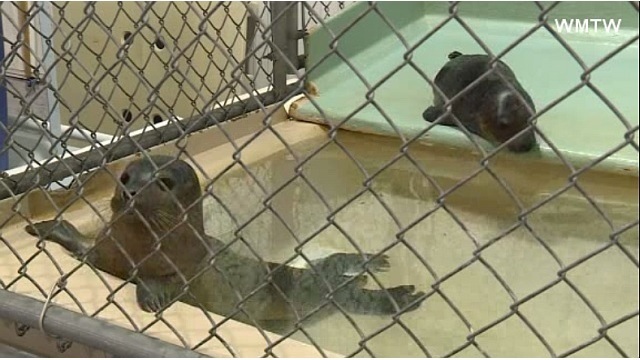 She said they’re running tests to find out, but because the disease may be infectious, NOAA isn’t letting rescue groups, like Marine Mammals of Maine, take in any more live seals, so they’ll have to stay where they are. “They’ll go out and do an assessment and report back, but unfortunately, right now, we don’t have the capacity to take in any more animals,” Goebel said. For now, all they can do is wait. “We are coordinating with all our partners and trying to come up with an answer as soon as we can,” she said. Back in the fall of 2011, more than 160 dead seals washed ashore between Maine and Massachusetts. In that case, the deaths were blamed on a new strain of the bird flu. Aerial photograph of adult female Southern Resident killer whale J16 with her calf (J50) in 2015, when the calf was in its first year of life. Photo credit: John Durban (NOAA Fisheries), Holly Fearnbach (SR3) and Lance Barrett-Lennard (Vancouver Aquarium), taken by an unmanned hexacopter during research authorized under NMFS permit #16163. SEATTLE (AP) – With the Pacific Northwest’s killer whales struggling, an environmental group is suing to force President Donald Trump’s administration to expand protected habitat to help them recover. The Tucson, Arizona-based Center for Biological Diversity filed the lawsuit Thursday in U.S. District Court in Seattle. It says the National Marine Fisheries Service has failed to act on the organization’s petition to expand habitat protections to the orcas’ foraging and migration areas off the coasts of Washington, Oregon and California – even though the agency agreed in 2015 that such a move was necessary. Michael Milstein, a spokesman for the fisheries service, says the agency agrees protecting the endangered orcas that return to Puget Sound every year is an urgent priority. “It was extremely hard for the crew to watch the trapped dolphins without being able to rescue them,” Essemlali told The Dodo. In a small portion of France’s coastal waters (between Vendée and Charente Maritime), it’s estimated that up to 10,000 dolphins are killed each winter after getting caught in fishing nets, according to Sea Shepherd Global — in comparison, Taiji, Japan’s infamous dolphin hunt, usually kills less than 1,000 dolphins. “The most outraging part is that the French government knows about this,” Essemlali said, explaining that the French government seems reluctant to address the issue. But the problem isn’t isolated to France. More than 650,000 marine mammals, including dolphins, whales, seals and turtles, are killed or severely injured each year after getting caught in fishing nets, according to the Natural Resources Defense Council (NRDC). 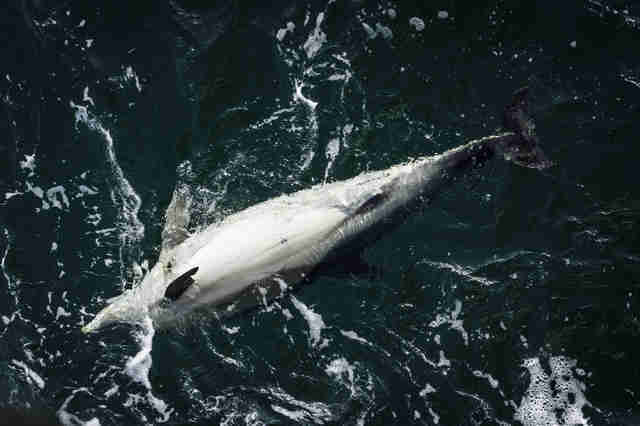 “You can’t sustain those kinds of numbers every year, and we need to take steps to limit that kind of bycatch,” Zak Smith, senior attorney with the marine mammal protection project at NRDC, told The Dodo. Unfortunately, many modern fishing practices make it far too easy for dolphins and other animals to get caught in nets. 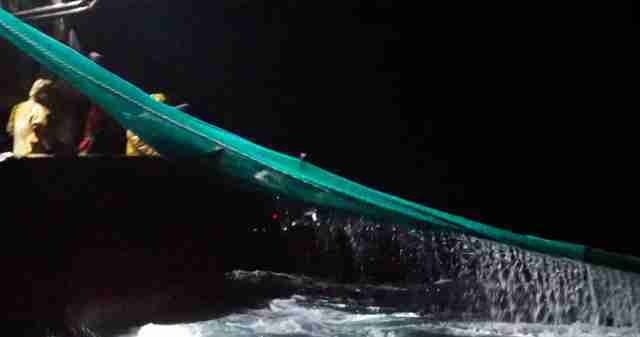 The fishermen in the video were using a fishing practice called “trawling,” which involves pulling a large net through the water between two ships. But trawling nets don’t just catch their target fish species (the fishing vessels in the video were trying to catch sea bass, according to Essemlali) — they catch everything in their path. As mammals, dolphins need to rise to the surface to get enough air to breathe, but once they’re inside the fishing nets, they can’t swim anywhere. And trawling nets may remain in the water for several hours, according to Essemlali. 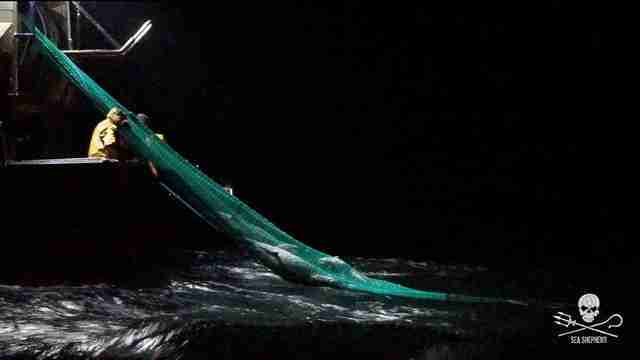 In most cases, the dolphins will drown in the nets. If they somehow survive, the fishermen will kill them on deck, rather than release them back into the ocean. Essemlali think that this is what happened to the dolphin who was still alive in the net during last week’s surveillance. While this bycatch problem is definitely overwhelming, there are actually straightforward solutions, according to Smith. The banning of destructive fishing nets — like gillnets and trawling nets — would be a good first step, Smith explained. Smith also believes that governments around the world need to instill better regulations and monitoring programs. “It takes work, but we know how to solve these problems,” Smith said. Catherine Kilduff, senior attorney at the Center for Biological Diversity, holds a similar view. To help dolphins from getting caught in fishing nets, you can make a donation to Sea Shepherd Global, NRDC or the Center for Biological Diversity. VaquitaCPR team: SAN FELIPE, BAJA, MEXICO — The entire VaquitaCPR team is deeply saddened to report that during field operations to rescue the world’s most critically endangered marine mammal, a vaquita porpoise has died. With less than 30 vaquitas left on Earth, the entire rescue team is heartbroken by this devastating loss. Captain Paul Watson: The entire Vaquita CPR team may indeed be deeply saddened but they can’t say they were not warned and if they continue this foolhardy plan, another Vaquita will die. This team just contributed to the possible extinction of this extremely rare endangered species. This project should be called Vaquita RIP and it is now a contributing factor the possibility of extinction. VaquitaCPR team: Extreme precautions and significant planning have gone into every aspect of the VaquitaCPR rescue plan. VaquitaCPR assembled many of the most experienced marine mammal experts in the world to determine if human care could rescue them from extinction. No conservation project like this has ever been done before, and the operation comes with significant risk. However, scientists agreed that the risk of extinction in the wild was still far greater than the risk of rescue efforts. 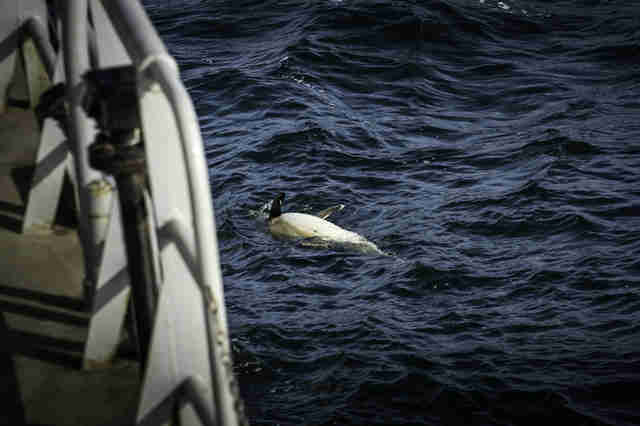 Captain Paul Watson: We warned them that the animals were shy, elusive and easily stressed. The death of this Vaquita and the stress recently inflicted to a Vaquita calf has most likely stressed the entire remaining population. What scientists agreed that the risk was worth undertaking? From the looks of the supporters of the VaquitaCPR Project, the majority of the scientists are working within the captivity industry. There is a better and safer approach and that is the approach that Sea Shepherd is presently doing with the Operation Milagro Project and our approach is to physically defend the Vaquita Refuge from poachers. VaquitaCPR team: A mature female vaquita, not pregnant or lactating, had been caught and transported successfully late in the afternoon on Saturday in the Northern Gulf of California and was taken to a specially-modified floating sea pen known as ElNido, or The Nest. From the moment of capture, the vaquita was under constant care and observation for its health and safety. Marine mammal veterinarians monitoring the vaquita’s health noticed the animal’s condition began to deteriorate and made the determination to release. The release attempt was unsuccessful and life saving measures were adminsitered. Despite the heroic efforts of the veterinary team, the vaquita did not survive. Captain Paul Watson: How can they say that the Vaquita was ‘caught and transported successfully,’ when the Vaquita died within 24 hours. This is like saying ‘the operation was successful but the patient died.’ To describe this effort as ‘heroic’ is delusional. This Vaquita died because of the arrogance of this capture team. VaquitaCPR team: Every member of the international rescue team is a leading expert in their field and deeply committed to saving the vaquita from imminent extinction. The rescue operation was considered a great hope for the continued existence of this rare and elusive porpoise which is at severe risk of extinction due to entanglement and drowning in gillnets in Mexico’s Gulf of California. Hundreds of vaquitas have been lost since 1997 despite significant efforts by the Mexican government to ban gillnet fishing throughout the vaquitas’ range and establish strong enforcement of conservation measures. 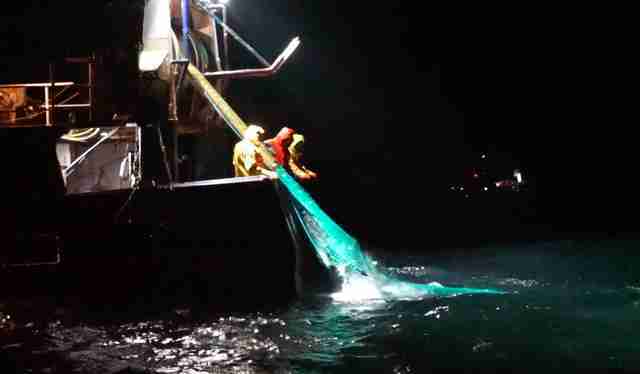 Illegal gillnet fishing continues. Captain Paul Watson: Most of these teammembers are employed in the captivity industry. If the problem is entanglement and drowning in gillnets, the solution is to remove and prevent gill nets from being deployed. Sea Shepherd has removed over 400 illegal nets while working with a minimal budget. With more funding, more nets could be removed and more interventions against poachers can be undertaken. Instead of funding being directed towards intervention against the real problem, this VaquitaCPR project is simply another lethal threat to the survival of the Vaquita. VaquitaCPR team: With so few vaquitas left, this consortium of international conservation and animal care experts was assembled at the request of the Mexican government and scientific community to develop an unprecedented rescue and relocation operation that is widely recognized as the best hope for vaquitas’ existence. The risk of losing a vaquita during field operations was always acknowledged as a possibility, but it was determined that it was unacceptable to stand by and watch the vaquita porpoise disappear without a heroic attempt at rescue. Captain Paul Watson: The best hope for the prevention of the extinction of the Vaquita is enforcement and intervention. Sea Shepherd has never acknowledged that the death of a Vaquita was a possibility. We stated from the beginning that the project would 100% kill these animals from stress. What is unacceptable is that these ‘scientists’ are indeed standing by and refusing to support intervention. Calling themselves ‘heroic’ is arrogantly inaccurate. Heroic is confronting poachers and working long hard hours to remove illegal nets. There is nothing heroic about capturing and stressing these extremely shy marine mammals. The VaquitaCPR project is now very much a part of the threat to the survival of the Vaquita. VaquitaCPR team: Vaquita Conservation, Rescue, and Recovery (VaquitaCPR) scientists in collaboration with an independent review panel established for this purpose and the Mexican government, will carefully review the events of the past 24 hours and determine how best to proceed. A necropsy has been performed and tissue samples have been collected to inform in this review. Captain Paul Watson: Captivity scientists love their necropsies. This is one thing they are really good at because they do so many of them for all the animals that continuously die in captivity. This ill conceived project must be shut down before another Vaquita dies. VaquitaCPR team: Update information will be provided as it becomes available. Captain Paul Watson: There are two ways this can go – abandon the project or the next update will be another death. Captain Paul Watson: The VaquitaCPR Project refuses to acknowledge the net retrieval operations by Sea Shepherd or Sea Shepherd’s successful interventions against poachers. They act like Sea Shepherd does not exist and our ships have not actively been in the Vaquita Refuge for the last few years successfully removing. This is most likely due to Sea Shepherd’s anti-captivity policy.